OMG this feature is cool. 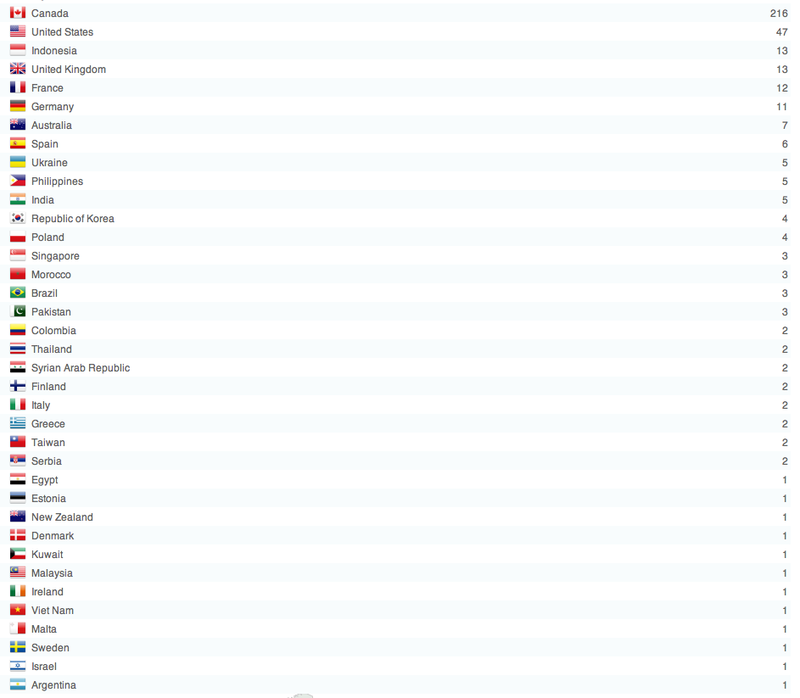 Top views of my blog by country for all days ending today. Most views: Canada (216). Love! Yeah, this feature was awesome! It’s interesting to know where your readers are coming from, isn’t it? I’ve got some from Romania. a few from Italy but mostly from USA.